Microsoft has released a PDF Document showing users what to do to tune Vista for a better performance. The Guide that is available for download here can be categorized as a good start point and I hope that Microsoft keep posting other guides like this one. Vista Performance and Tuning Guide. It is available as a download through the Microsoft site and will guide you through the most common changes you can make to Vista to get better performance, especially out of computers with borderline components such as mobile PCs. Give it a try and see how it works for your setup. Yes, GottabeMobile, one of the most important sites about Tablet PC got ink support in its forum thanks to a collaboration with TodoUMPC, the European site about UMPC. 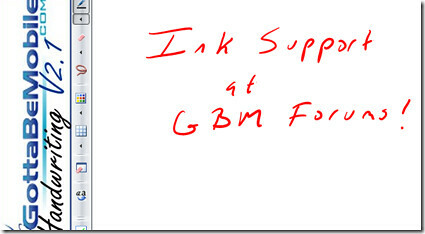 In this way GottabeMobile becomes the first forum in English with Ink support in the whole world! Here is a blog post that explain how you can still using the Kindle if you don't live in USA. Guide to getting an Amazon Kindle working outside of the US and downloading books outside the US. This is targeted at people who have a Kindle, but don't have a US billing address to purchase books. A very smart workaround. And I don't blame people for trying these methods because there is nothing like reading in a Kindle. What am I reading in my Kindle? That's a good question. I have read a lot since I got my Kindle and I going to start posting little by little about these books that I have read or I'm currently reading on it. Generation Kill is not just the latest HBO Series but a book by Evan Wright and a book that shows truth behind the Iraq War, how is to be there and who are the young guys fighting that war. The HBO TV Series is not good enough. It does not picture the psychology behind these soldiers in the way that the book does it. You can support the war or you can be against the war and in either case this is a book that I recommend to read. This book is available in eBook format at Amazon and can be found here. According to this news at Engadget, Via Nano processor performs better than Intel's Atom processor thus it consumes more battery. 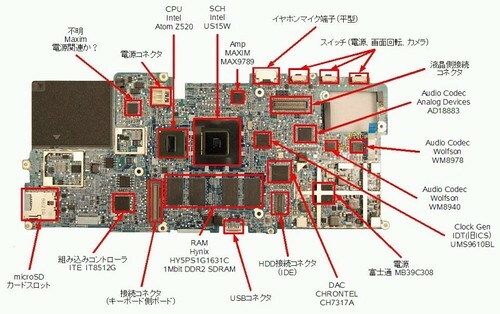 The other good news is that it's pin compatible with current Via C7M processor, this means that OEMs do not have to change anything in the motherboard design, it's just a matter of using this new processor. Your all probably know that if anything is at FCC site that means just one thing: it's going to be sold in USA. 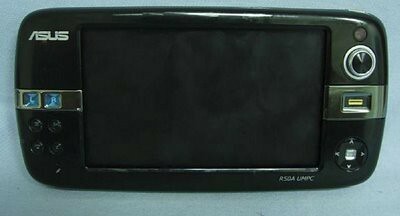 So that's the good news behind the post at JKK Mobile, besides the good pictures of a "naked" Asus R50A. Yes, UMPC Portal has posted a few more pictures of this UMPC made by Wibrain, the L1 will be the first one of this brand using Atom processor and will be available in a few more colors other than the traditional black. For those like me that love UMPC and Tablet PC because of the handwriting support participating in any forum is like to be naked in the middle of the road. At least that's how we felt at TodoUMPC.com and that's why we decided to have Ink and handwriting recognition support in our forum. So, today I'm pleased to announce that we have released the second version of our "Ink Board" with recognition. I know that many of you do not understand Spanish so I prepared this short video - excuse my broken English- so your can see how this tool works in our forum at todoUMPC. Here is a thread where you can see our users participating using this tool. Chippy at UMPCPortal has shot a video review of the Gigabyte M912 mini Tablet. You guessed, I'm talking about pictures showing what is inside of one of these machines. In one of the pictures you can see the Clock Gen info, something that is needed to overclock by soft the machine. One of the features that I liked from my Samsung Q1 was the sound quality. The Q1 was prepared with drivers with SRS capability. Yesterday browsing the web I found that you can get the same sound quality in any UMPC or Netbook by just installing SRS Audio SandBox. 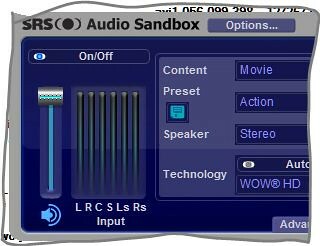 The SRS Audio Sandbox was designed recognizing audio has become more important as many people use their PC for entertainment, both at home and on the road. With SAS you can customize your audio experience based on music, movie, video or game content. Let me tell you... the sound on my P1610 was just horrible and after installing this program I enjoyed playing music again like I did before in my old Samsung Q1. Fantastic! A Must Have! The Willcom D4 is a very good looking UMPC but is it that good in real life. Apparently judging the comments from Tech On, it's not. (2) When not locked, it easily starts up even when something touches the screen by accident. 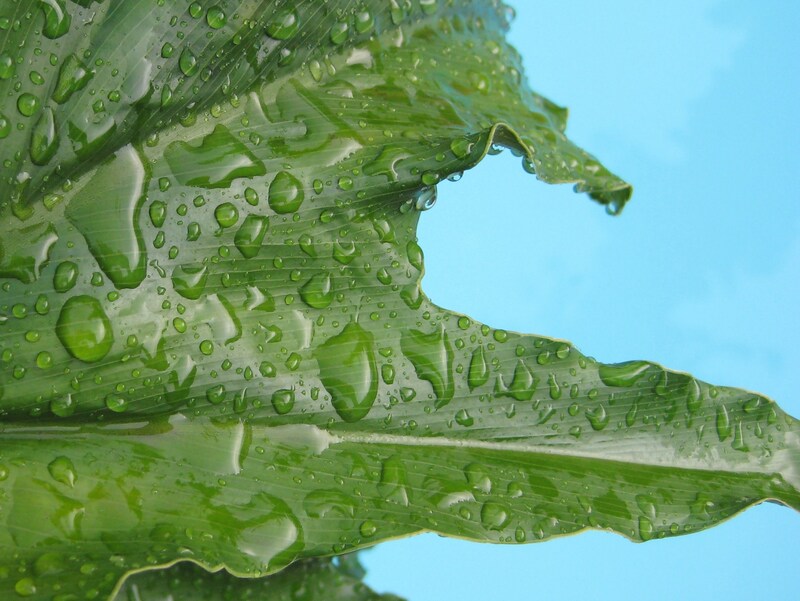 (3) Its surface quickly becomes dirty with fingerprints. (4) The cooler fan is noisier than expected. (5) You can't operate the D4 while wearing one of the standard-length straps available on the market. (6) The location of the mouse button on the left makes it difficult to press when using the keyboard. (7) The optional Bluetooth handset seems to be required to quickly answer incoming calls. (8) It becomes so hot that your hands or your desk also get hot. Let me say that if you read the article, the author got the D4 about the same day the iPhone 3G was released and like he says, he was expecting from a D4 to be a real competition to the Apple device. Sorry... but UMPC are far from being SmartPhones though I should admit that 1 hour of battery life is just ridiculous. Even 1.5 hours is really really bad. I know that many of you love the unboxing videos. It's like you are in there opening the box and seeing for the first time that new toy that you have been waiting. So here is this unboxing video of a UMPC made by Sharp, the Willcom D4. todoUMPC, The Spanish UMPC online store and Forum will give away a Amtek U560 and Wibrain B1 for free once they reach 3000 users registered in their forum, by the way, the only forum in the world with handwriting recognition. They have not released yet what needs to be done to win one of these prizes but the Administration has told me that they want to have a contest where anybody speaking English or Spanish can participate. Of course, being a registered member will be something that's going to be taking in account but wont be mandatory. Rugged Computer Survives Car Wash! This is another video coming from Mobile Demand that you need to see it to believe it. Sure, you can do that if you use a program like tazti, a very easy to use kind of voice recognition program. todoUMPC the largest Spanish community about UMPC just announced that they are preparing a event called 3000 - that's the number of registered members that they are going to reach soon - and for that event they are giving away few things. The page is teasing members and not members with this event so they have not said officially what has to be done to get any of the prizes and what are the prizes. The only thing known so far is that there are going to be to big prizes and one of them is a Amtek U560 UMPC. The event is going to be opened to all users around the world speaking Spanish or English. But like I said, no details of how and what needs to be done to participate have been revealed yet. I'll keep posting about all the details as soon as I have them. We do not see (Atom) replacing Celeron..."
Bravo Intel! I love when they openly say what they think. Well, there is not too much info that I can say about it but what you can see in this video. Apparently this person installed Ubuntu got everything working on his HTC Shift. Poketables.net has published the first full review of the Kohjinsha SC3. The photos are just incredible good. Two things that gained my attention, performance is about the same I have in my old Q1 Celeron at 900 MHz with 2 GB of RAM running Vista and the battery life is about 2.5 hours using WiFi. 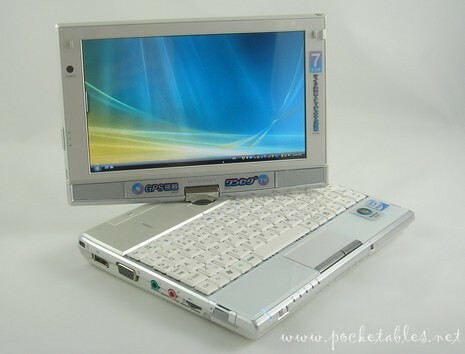 The Q1P with a Pentium M at 1 GHz had that same performance and Battery Life. did you get my point Intel? Anyway... I'm glad to see that the new generation of Atom processors is at least coming back to that performance we had 2 years ago. You can convert any laptop in a Tablet PC for less than 100 dollars and without having to void your warranty. 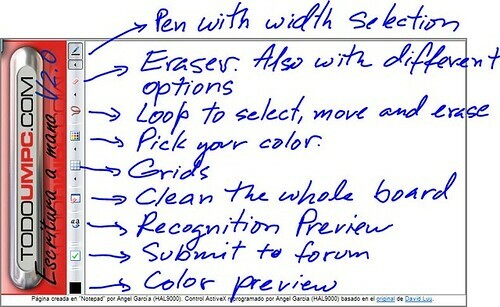 All thanks to a new pen called "Duo" that have been released to the Korean Market today according to Aving USA. You don't have a laptop? Do not worry, they have a version for LCD Monitors too! Every year thousands of Laptops are stolen or lost in USA along and you could become part of these statistics. Are you prepared if this happens? What can you do? Should you pay hundreds for a tracking software? What if I tell you that you can track the location of your UMPC without paying a penny. And that's exactly what Adeona is promising. Adeona is the first Open Source system for tracking the location of your lost or stolen laptop that does not rely on a proprietary, central service. This means that you can install Adeona on your laptop and go — there's no need to rely on a single third party. What's more, Adeona addresses a critical privacy goal different from existing commercial offerings. It is privacy-preserving. This means that no one besides the owner (or an agent of the owner's choosing) can use Adeona to track a laptop. Unlike other systems, users of Adeona can rest assured that no one can abuse the system in order to track where they use their laptop. I have been testing this program in my P1610 and it's amazing to see how I can recover the IP address and ISP used to connect to Internet. Knowing the IP you can contact the Police and they can demand from the Internet Service Provider (ISP) the information about who is using or used that IP. That simple. Adeona is a "Must Have" in any mobile device. Asus is releasing a new version of its popular Eee PC line in Japan. The 901-X uses a N270 Intel Processor at 1.6 GHz, powerful enough to move Vista decently and save battery at the same time. ASUS rolled out its Atom-based notebook 'EeePC 901-X' in Japan market, which is powered by Intel N270(1.6GHz) CPU and Windows XP OS. Adopting a 8.9-inch display with 1,024*600 resolution, the EeePC 901-X supports up to 8.3 hours of battery life, 12GB SSD, 1GB of memory, 1.3M camera, wireless LAN and Bluetooth connectivity. I'm sure that all of you are going to say that I'm right on this: the video reporter on the next unboxing video does a better job than all my friends bloggers including me. If you though that you have seen everything that can be done to a Tablet PC or you can do with one of them... You are wrong! Check this video. Here is a short video showing the "unboxing" of a Kohjinsha SC3, another wonderful UMPC or netbook that will never see the USA Territory. I love taking pictures after the rain. And I love this picture I took a few days ago. Perfect for using it in your desktop. is not it? I have put together a few more in this photo set in case you like it. 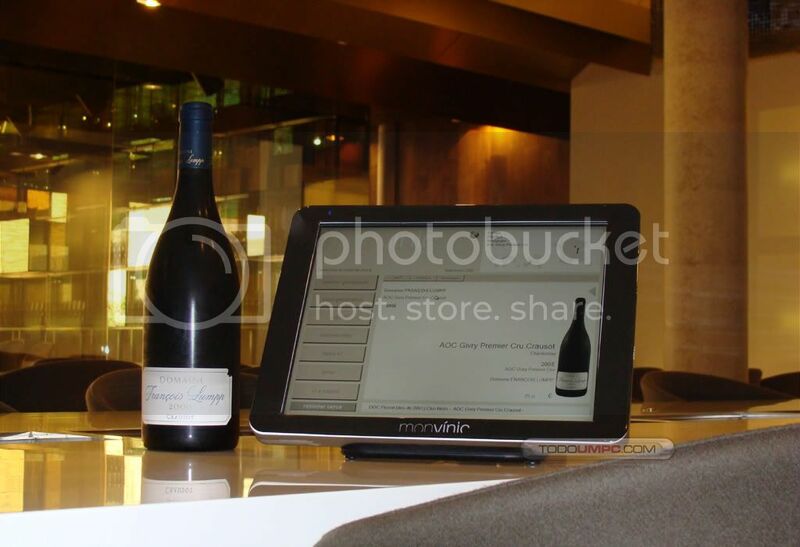 TabletKiosk is without any doubt a pioneer of the UMPC in USA and the whole world. Today GottaBeMobile has posted the news about a new release coming from this company in the Q1 of 2009. Chances are that at CES 2009 you are going to see a near final version of the product that will knock your socks off. I don't know if I should be publishing this after the news of this device not been available for our American readers. Something hard to digest even 24 hours after I read the news. Anyway... Chippy has some really good news for our European friends about the different models and prices for this device that seem to be one of the best options for this Summer. Yeah, a real chocking news! I know for fact that many of my friends and readers here in USA where waiting for this netbook to be released here in USA to buy it. Well, the good news is that at least European are going to see soon. The Gigabyte representative writes, "I am sorry, but this product will not be released in the US/Canada Market. It will only be available in Asia and Europe." Here is a video of a TabletKiosk i440D running openSuse 10.3 Linux. I was surprised to see how well the on screen keyboard works and the presence of Xournal a replacement for Journal an application to takes notes in "Ink" that comes with TabletPC 2005 Edition OS. Even the screen rotation and the fingerprint reader work perfectly. Are we going to see Linux as an option for this machine? That's the question I'm leaving in the air to TabletKiosk. I hope so, even when I'm happy with Microsoft OS, competition is what's needed to see improvements in any OS. Here are two videos I found of the WILLCOM D4 made by Sharp and already being sold in Japan. This UMPC comes loaded with a Atom Centrino 1.3 GHz processor and 1 GB of RAM. That's what I would call the minimum requirement to run Vista and that's the OS that Sharp has put in these devices. I don't know if Sharp is planning to sell it in USA or Europe but if you want to buy it you can do that at Direct from Japan, a specialized on line store in Japanese electronics. 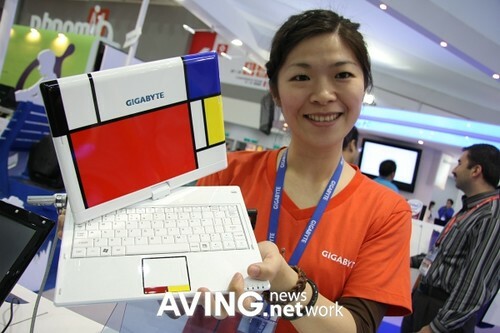 Gigabyte is going to surprise us with a new netbook running Vista this Summer. Featuring a 8.9-inch WXGA touch screen display that can be rotated 180 degrees to transform into a tablet pc, the M912V adopts 160GB SATA HDD, a 1.3M camera and LED backlight. 4GB SSD and HSDPA support are optional. 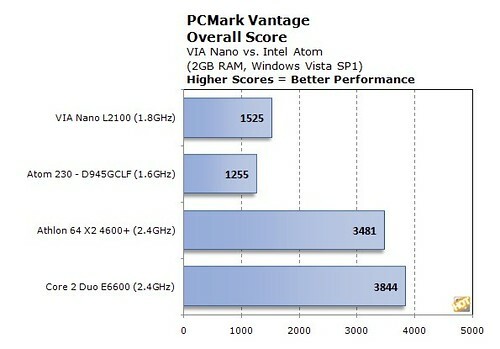 No words at Aving USA about what processor will be using this machine. I just hope that it's a Core Solo... at least. Imagine that you own a wine-bar and you have more than 12000 bottles of wine in your warehouse. What can you do to easily let your customers pick what they want drink? Monvínic is a wine-bar with a little restaurant and even a library where you can learn all you need about wines. This company decided to use a sophisticated system with Amtek T226 TabletPCs provided by todoUMPC to help customers to pick their drinks from 3000 types of wines. All they have to do is to use the touch screen selecting the wine and the order is taken and served in few minutes. No, Asus is not selling a new version of this device, it's JKK who installed a touch screen in one of them and he is sharing this experience in this video. I really don't know how to called, MID? 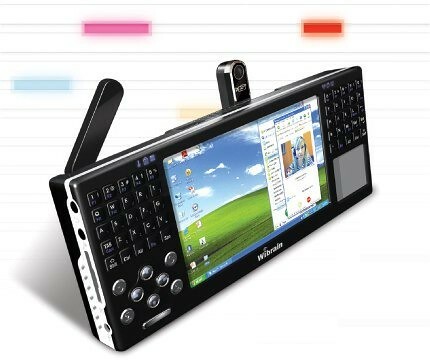 Handheld PC? Pocket PC? But for sure, UMPC is not. Everex will launch this year two mini notebooks one with a 10 inches display and another with a 8.6 display. This news is coming from InfoWorld. A happy surprise in these tough times! Many users are for sure willing to know how how the Q1U with a 600 MHz A100 processor performs. This short video shows this UMPC playing a Divx video. Unfortunately there is not any information available about the specifications of the Dvix file.